This archive investigates the history and cultural significance of the revolving door, “an unsung but pervasive—dare one say pivotal—technology for modern living,” according to MIT Professor James Buzard. This archive supports Buzard’s explorations of the symbolism of the revolving door both in his research and in his literature classes. 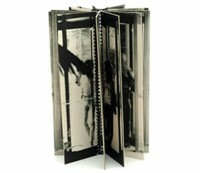 Materials include a wide range of video clips of revolving doors appearing in films, cartoons, and other popular media. The archive also includes original door designs as well as a wealth of material related to the inventor of the revolving door, Theophilus Van Kannel (1888 patent). Digitized and categorized the collection, created an online archive, and researched and integrated related materials and links.